A few years ago, we were at the wedding of two friends in the Basque country where the cava flowed freely and we danced all night, fuelled by fresh seafood and Spanish fizz. Back at home where the skies were greyer, I wanted to recreate a taste of that magical night and I bought a bottle of Cava from our local Tesco. 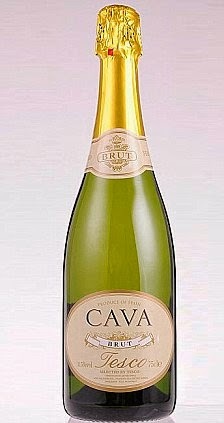 When I read the label, I realised that it was made by Codorníu who are THE producers of cava in Spain. With heaps of awards under their belt, they create cava which is made with three grapes : Parellada, Xarello & Macabeo. These are all traditional Spanish grapes and the resulting blend is light, really refreshing and most importantly, is full of bubbles - a prerequisite for the perfect glass of fizz. At home, I love a glass of cava with some smoked spiced almonds as an aperitif, or with a salad like my Baby Beetroot and Hot Smoked Salmon where the brightness of the cava cuts through the richness of the fish. Actually, who am I kidding. I’d happily have a glass on every occasion possible. And you don’t need a corkscrew!